One post explained why nylon stockings were redesigned in the 1930s to make them likelier to ladder. Another described how, 50 years later, Microsoft ensured that its Windows 2.0 software needed to be updated every 18 months. Then there was the story of how, in 1924, the world’s biggest light bulb manufacturer boosted its profits by forming a cartel whose first collective decision was to reduce the life expectancy of incandescent bulbs so they would have to be replaced more often. These are just a few of the Instagram posts on the design history of planned obsolescence made by the Italian designers Andrea Trimarchi and Simone Farresin of Formafantasma as a prelude to their participation in the XXII Triennale di Milano’s ‘Broken Nature: Design Takes on Human Survival’, an epic exhibition to open in March, which has just won Best Future Vision in the Wallpaper* Design Awards. 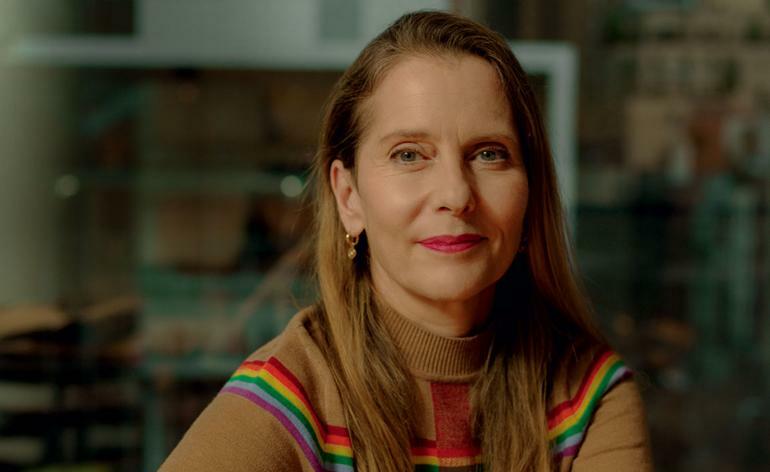 Aiming to explore what design can do to alleviate the devastating damage caused by the human race to the environment and society since the Industrial Revolution, ‘Broken Nature’ is curated by Italy-born Paola Antonelli, the senior curator of the Department of Architecture and Design at New York’s MoMA. It promises to be one of the most compelling and talked about design events of the year. Antonelli, 55, has curated a succession of landmark exhibitions since joining MoMA in 1994. The rigour and verve with which she has nurtured a new public understanding of the practice and possibilities of design has established her as the most influential design curator of our time. In the 2008 show, ‘Design and the Elastic Mind’, Antonelli pioneered the now widely accepted concept of design as an increasingly eclectic and expansive medium, while 2011’s ‘Talk To Me’ charted our changing relationship to objects in the digital age. Her most recent MoMA exhibition, 2017’s ‘Items: Is Fashion Modern?’, explored the cultural and political significance of generic forms of clothing, from biker jackets and black berets, to saris and bum bags. ‘Broken Nature’ will set the scene for the Triennale by analysing the gravity of the problems we face. It will open with a selection of Nasa’s Images of Change, a series of giant, high-resolution photographs of different parts of the world before and after man-made and natural disasters and other transformative phenomena. One traces the aggressive urbanisation of Shanghai and another the equally dramatic disappearance of Arctic ice. ‘They’re incredible images that will show the scale of the damage we’ve caused to nature and to one another,’ Antonelli explains.The exhibition will then present possible design solutions, including some 120 restorative design and architecture projects from the last 30 years, as well as a number of special commissions. Among the latter will be a research project by Oxman and Mediated Matter into possible design applications of melanin, the pigment that determines the colour of human skin. Another will be Formafantasma’s research into planned obsolescence, which is the latest phase of Ore Streams, an ongoing design research project into the vast, often illicit global trade in electronic and digital waste.